Winter Tyres are specifically designed and manufactured to deal with wet,cold, icy and snowy road conditions. They are not just for ice and snow as many would assume. Cars in the UK would definitely benefit from having winter tyres fitted! 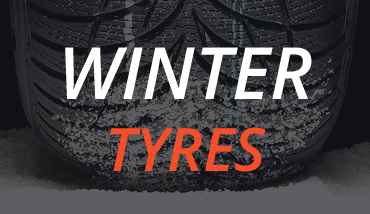 Built from a mixture of different materials than standard tyres, winter tyres don’t harden in colder temperatures as they are manufactured with more natural rubber. The tread contains more grooves to improve grip in snowy conditions. Winter tyres also have more channels (sipes) which create more biting edges to improve braking and acceleration. Enhanced performance: Winter tyres perform better when the temperature drops below 7° Celsius. Better Grip : Winter Tyres remain softer in low temperatures for better braking, precise handling and more grip. Greater Control : Winter Tyre treads have been specially created to give better traction, grip in the snow.